Recently, one of my colleague got a requirement on inserting data into database using EF. His issue was, how to verify if the database schema is proper or say all the columns in the tables matches with his POCO entities. Hope few of you must have come across similar scenarios. Here is the quick solution for this. In such scenarios, developers can do the schema compatibility check prior to inserting any data into the columns to ensure that model class still holds good with database tables. In the above method, passing the correct boolean value will do the trick for us. 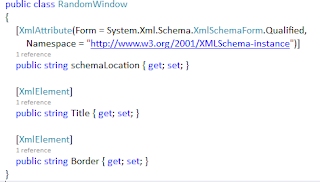 If the parameter value passed is true, then the framework will throw an exception if the schema doesn’t matched with your model class. Isn’t it a useful tip? This would be a very short article on how to add dependencies in .Net Core. Well, there are many ways to achieve this. One is via Visual Studio and another way is through command prompt. Let’s quickly have a look. This is the straight forward way for the ones who want to use user interface to add dependencies. Right click on your project/library and get it from Nuget gallery. If you are a command prompt fan, then there itself, you have 2 choices. In continuation to my previous post, I’ll add some more techniques which can be used for information gathering. Prototyping allows to gather information by faking the production environment. In this technique, quite a lot of tools can be used to collect information, such as software programs to monitor/record mouse clicks or keystrokes, camera to monitor visual activity, etc. Basically, what type of tool should be used is solely depend upon what type of information you want to collect. The cost of prototyping might be high because information gathered from this approach can be easily validated with a reason that prototyping is experimental rather than the responses received from users. Note: Prototyping is preferred in the scenarios where it is impossible to shadow a person. Use of technologies, tools and applications. Customer specific quality requirements and goals. Another approach which can be used to gather information can be User Instruction. In this technique, users actually train you on the tasks that they perform. This allows you to participate in each and every activity and view each and every step from the user’s perspective. In this technique, user can gain more knowledge as compared to reading documents. Note: In this method, it is mandatory for the user to be habituated to teaching others else it would be very frustrating for both the parties. It is always advisable to get the instructions for the same task from multiple people as same task can be performed differently by different people. In this way, you might get to know the shortcuts to perform the task. In this technique, a presentation is given on a particular topic to a group of people and post session they provide feedback to facilitator. This approach is based on group interviewing techniques in which group of people consists of all the stakeholders which are part of that process. Note: One should have properly defined topic and must have ability to keep the group focused. This technique might not be successful, if participants are located in different-different geographic locations. This technique may also fail, if the group of people participating in defined session doesn’t belong to that activity or doesn’t have much knowledge about the activity is performed. That's all I have to share. Hope you enjoyed reading. In continuation to my previous post, I’ll add some more techniques which are popularly used for information gathering. Interviewing: While on one hand shadowing provides an effective means to discover what is currently being done in the business, but on the other hand it does not provide all the necessary information. Another flaw of shadowing would be, it is not suitable for getting information about long-term activities that extent weeks or months along with the processes that requires very less or no human intervention. Hence, we can look for other techniques like interviewing. Interviewing someone is the one-on-one meeting between project team and the user. Here quality of information totally depends upon interviewee and the interviewer. The interviewer can ask a wide range of questions as compared to shadowing mechanism. These questions can be from basic information to difficulties to limitations of the system. During the interview process, the interviewee can give some ideas to improvise the solution, but one should avoid assuming that those ideas are the correct solution. The success of this technique totally depends on how the questions are structured or framed? The interviewer should be in a position to get more and more questions out of the answers given by the interviewee. One should always avoid asking misleading questions. Is there any documentation available to help you in performing your job? Is there any third party, that affect your work – i.e. support specialists, external suppliers/system, etc.? Does any business policy hinder you in performing your job? Do you need any assistance or help when you work remotely? If yes, then what? Surveys: Surveys are the other means of gathering information. It consists of a collection of questions. A very good example of surveys is the customer feedback form. One of the best parts of surveys is that, they keep the identity of the user hidden as they can be given anonymously, which in turn promoted confidentiality. Such kind of information gathering technique is useful when one is more concerned about the responses rather than which individual has responded. The most difficult part of surveys is its preparation. Everyone cannot come up with surveys as is requires a trained professional for choosing questions and then analyzing the responses. Hope you got an idea about interviewing and surveying technique and when to use what. In my next blog post, I’ll continue to write about few more techniques. This time rather than writing on some technology or solution, I thought to write on one of the important phases of SDLC which is nothing but requirement gathering. To be more specific, this article will be more about collecting information about business requirement. What are the various sources to get and understand most of the portions of any business requirement. Business – Goal of business, Service offerings, Products, Financial Structure, etc. Application – Productivity tools, interaction with business application system, Code Modules, etc. Operations – Identify the information’s origin, information’s consumption, information’s ownership, Data warehousing, Data models, Data Management policies, etc. Technology-Technical Services, i.e. Development Environment, Topologies, Network Services, Security, DBMS, Technical Specifications, Hardware, Software etc. The next biggest question would be how to gather all this information? Shadowing: In this technique one will observe a user performing the tasks in an actual world environment and ask the user any questions related to the task. It is basically like following the user as he or she performs daily tasks. In other words, more the questions, more the information. Note: This technique is effective only for frequently performed activities or tasks because if the task is performed occasionally, then it would be difficult to shadow someone. What decisions do users make when starting or completing a task? What modifications must be made over time to make it easier to complete the task? Which related tasks may affect the design of the solution? Are there any performance criteria? How many people does a user interact during a given task? Are there any variations in the steps to complete the task? How often does system or management interfere with their job? What do users like/dislike about the system? Characteristics and preferences of user. Concepts and terminology used by users? What trainings do users need? How can training and support costs can be reduced? Have users been through the training or they are self-taught? What information about the user is not documented? In essence, one has to observe and question both the management and the users. If there are any external stakeholders involved with the task then they should also be part of this observation. Hope you got an overview of shadowing. There are a few more techniques, which can be considered in order to get the required information for starting any project. But being a completely theoretical write-up, I would like to end this blog here itself and will write about more techniques in my next blog. 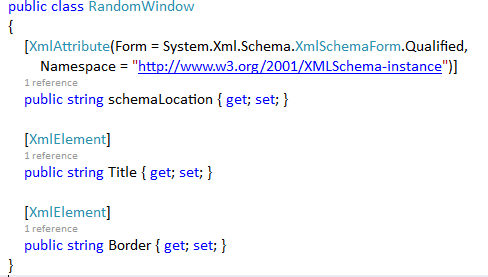 Recently I got a requirement to generate an XML on the fly with some defined schema. I know this requirement looks very simple in first sight, but actually it was not. But the only thing which didn’t come up correctly was the root node which is expected to be in the form <sl:RandomWindow>. Which was bit closer to what I need, but not the exact one. Now the issue remaining was the extra prefix in front of each element :(. In order to resolve this issue, I tried various options provided over various blogs, but no luck. And that did the trick for me. Finally, I was able to achieve the required format. Although this issue was pretending to be very small, it ate up my so much time. So, thought to share it here. Hope it would be helpful for you too. If you are working on Visual Studio 2017 with update 3, then you might have come across the error 'The SDK ‘Microsoft.NET.Sdk.Web’ specified could not be found' in netcoreapp1.1 for both web and console. Unfortunately, I also landed up into this situation. So, one straight forward and temporary solution could be to edit the project file manually from Project Sdk = ”Microsoft.NET.Sdk.Web” to Project Sdk = ”Microsoft.NET.Sdk” and re-open the solution. Everything will work fine as expected. So, what are the reasons behind this error? Installed CLI version is correct but its path is incorrect. Verify the value of PATH- Open the developer command prompt and verify the value of the PATH variable and make sure that 'C:\\Program Files\\dotnet' appears on the path before any other entries that point to subdirectories of the dotnet folder. If you are working with the web project, then you can also verify the SDK versions in global.json file and edit it manually if required. Hope above post was useful for the newbies who just took Update 3 and are struggling to build their solution templates. Is your client request missing from IIS log? One can enable IIS logging by going to IIS Manager and checking the Enable logging checkbox. So, it means if IIS logging is enabled, then each and every request made by the client should be showing up in the IIS log. Isn’t it? But by any chance, if the request is not present in IIS log then the most probable reason would be either IIS was not running or may be request was not made. But this statement is not 100% correct. Because whenever any request is made to the server, first it routes through HTTP.SYS then it comes to IIS. So, if anything is not visible under IIS logs, then one can see the logging for HTTP.SYS which is HTTPERR. The most common errors logged here are related to timeout or service unavailability. The next question would be, where these logs are exactly saved? Interested in knowing more about HTTP.SYS, here you go. Then I thought, let's give a try by deleting the temporary folders which were created by Visual Studio and guess what? That worked for me. The culprit was the .vs folder which was the hidden folder in the project's root directory. One of my colleague checked-in that folder by mistake and as I was fetching the code for the first time, it came on my machine. Actual felon was the .suo file which was inside .vs folder. This .suo file contains user specific settings. Hence same user settings didn’t work for me. 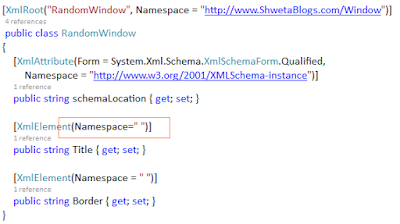 If you have worked with IEnumerable and using ReSharper, then you may land up into this warning, "Possible Multiple Enumeration of IEnumerable". So, what this warning is all about? Well, before proceeding further, let’s see how we can store something into IEnumerable object . So, above code itself speaks that items is a variable of type IEnumerable which will hold some values/objects we can iterate through. Now here lies the performance hit, which is also indicated in the form of ReSharper warning. This performance hit may not be significant for a small number of items. But this can be noticed while dealing with a huge number of items. Reason behind this is, whenever you are iterating through items collection, GetAllItems method will be called for the same number of times. Once you are done with mentioned code changes, you will notice that above warning doesn't exist any more. Hope you like this small post. Why normal .NET exception handling doesn't work in WCF? Both the above methods will perform some calculation and return the result to the client. Let’s say, now for some reason someone sent 2nd parameter of Divide method as 0. What will happen? Definitely code will throw an error or say DivideByZero exception. Isn’t it? Now coming back to the same question, why is this happening like this? Well, reason behind this is the message format being used by WCF. WCF uses, XML or XML SOAP to communicate with clients. 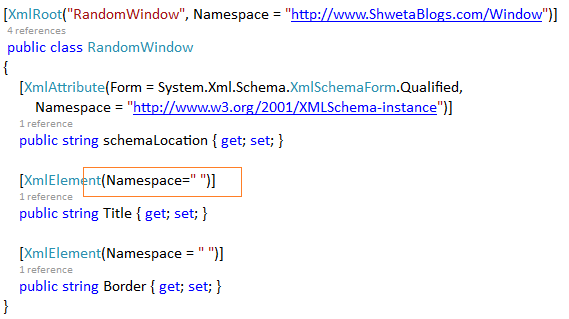 So, even if any exception is raised, it has to be in XML format. Hence normal .NET exception handling mechanism doesn’t work here because the error is not sent to clients in the form of XML. Now re-run our application and we will be able to see proper error message. On a summary note, we cannot use normal .NET exceptions to propagate exceptions to the client but same can be used within WCF service. Hope you like this small but very useful tip. Happy learning! Which WCF template to be used? Recently, one of my colleague asked me, which WCF template should I use to create a service? For experienced people, it may be a silly question, but it is one of the common question among beginners, who just entered into the world of services. That’s the motivation who made me write this small post. The developer can choose any of the above templates as per project need. Let’s go through them one-by-one. WCF Service Library: This template is nothing but a simple service library which uses App.config as its configuration file. WCF Service Application: This template will create a web site which in turn will be hosting a service in it. Here Web.Config will be used to serve configuration settings. WCF Workflow Service Application: This template is useful when you want your workflow to be accessed as a web service. Syndication service Library: This template is useful when you want to expose RSS as a web service. Hope now you are comfortable on which template to be chosen.Happy learning!